The dominant Derm platform in the U.S., ADCS Clinics, went back to Michigan for its latest acquisition - Western Michigan, this time. Dr. Gerald Karabin, owner of Kalamazoo Dermatology and Skin Cancer Center, joins the ADCS professional team. Dr. Karabin has distinguished himself in surgical and cosmetic dermatology as well as a clinical researcher. Professional Physical Therapy expanded its reach in metro NY with the acquisition of two hand therapy practices on Long Island - Wilutus Hand Therapy and Advanced Hand Therapy. Adam Elberg, President of Professional, noted "The growth potential as a result of these acquisitions is very exciting...". 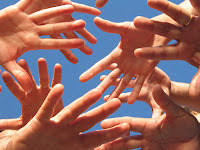 The acquisitions expand Professional's hand therapy services as well as geographical reach. The New York-based practice and Great Point Partners portfolio company now boasts 67 locations throughout the Tri-State area (NY, NJ, CT).